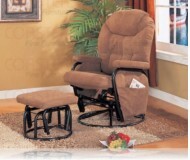 Dimensions:32 3/4W x 39D x 41 1/4H in. 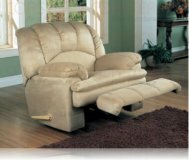 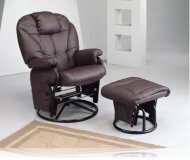 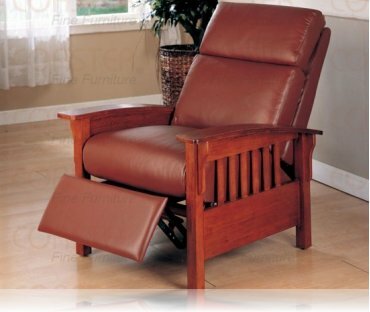 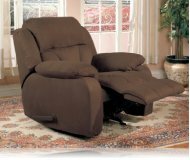 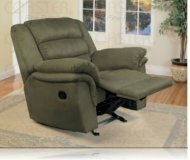 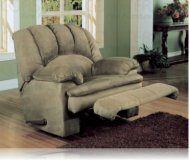 Santa Fe Mission recliner, straight forward in design with beautifully crafted solid oak arms. 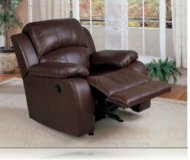 100% top grain leather.